Central Asia has long tugged at the heartstrings of the adventurous. With its sunny blue skies and striking landscapes, spectacular ancient cities and Islamic architecture, complex histories and fascinating cultures; it’s easy to see why this is such a captivating region. A cultural crossroads between Asia, Europe and the Middle East, it was across these remote lands that nomadic empires, conquerors and Silk Road traders traversed, leaving behind a rich cultural and archaeological legacy. Retrace history as you explore the stunning oasis cities of the Silk Road, admiring the vaulted domes, towering minarets and intricate tile work of medieval Islamic architecture. Tour imperial palaces, mosques and mausoleums, wander the cobbled streets of historic walled towns and shop for colourful wares in ancient market bazaars. 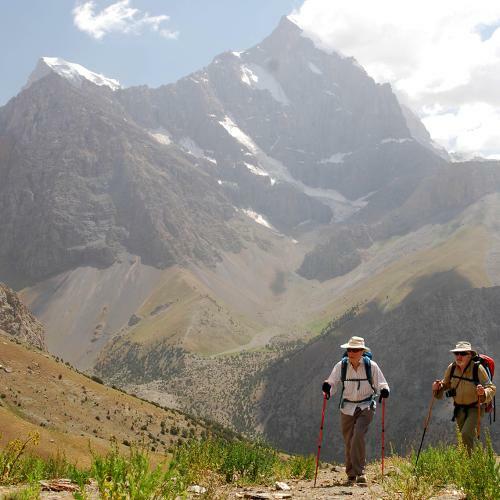 Discover contrasting desert and mountain landscapes, cycle along glacial rivers or tackle a challenging mountaineering expedition on one of the region’s highest peaks. Journey through luscious green valleys dotted with farms and grazing livestock, trek among dramatic glaciers and snowcapped peaks and explore fairytale stone villages where age-old traditions have been preserved. Whichever route you take, don’t miss the outstanding landscapes and cultural treasures of Central Asia! 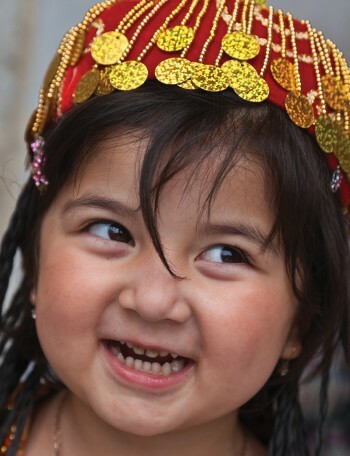 Responsible Travel practice is at the heart of every program that we offer in Central Asia. When you book one of our adventures you’re supporting true sustainability in the protection of local communities, natural environments and wildlife. 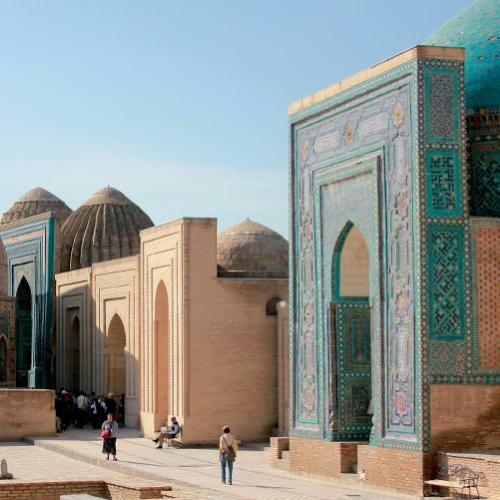 Our Central Asian program is packed with unique itineraries and quality inclusions. From completing the classic Trans Siberian Train Journey or tracing the historical trade routes of the Silk Road, to trekking in the spectacular Pamir Fann Mountains or ascending to Peak Lenin base camp—the choices are as exciting as they are varied. All of our Central Asian journeys are supported by well-maintained private vehicles, which means we can be flexible with our start times and stop off points. Carefully selected hotels, informative guided commentary, quality train journeys, internal flights and most meals are all included to make your trip as comfortable and enjoyable as possible. 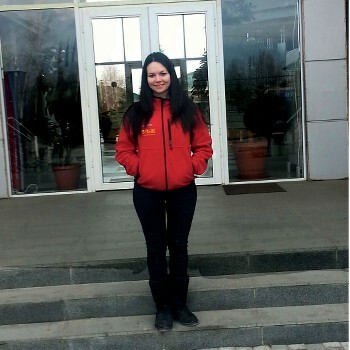 Our guides in the field are what make your Central Asia experience special. 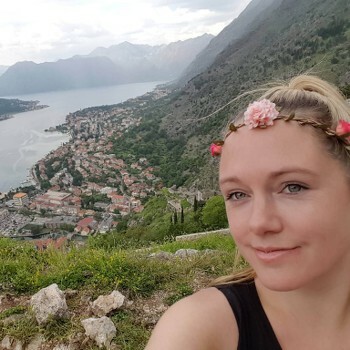 They’re a passionate group of tourism professionals with extensive knowledge about the long and varied history of the region, the tapestry of cultures that occupy these lands, the best walking trails and most authentic restaurants to eat at. The 'Five Stans' of Central Asia - Kazakhstan, Kyrgyzstan, Tajikistan, Turkmenistan and Uzbekistan are connected by the 'greatest route in the history of mankind', the ancient Silk Road, which today represents countless historic and cultural sites along its network. Sustainable tourism allows these sites to be preserved and protected, ensuring that the communities nearby enjoy the economic benefit that tourism can bring. To minimise our impact on the natural environment we practice the '7 Principals of Leave No Trace', in addition to supporting local economies by employing guides and support staff from local communities. Our Animal Welfare Code of Conduct and Child Welfare Code of Conduct ensure the well-being of animals and children encountered on our adventures. In cities and large towns you will be accommodated in 3 to 4 star properties that are centrally located, atmospheric and reliable and where we have seen a good track record with traveller satisfaction over many years. 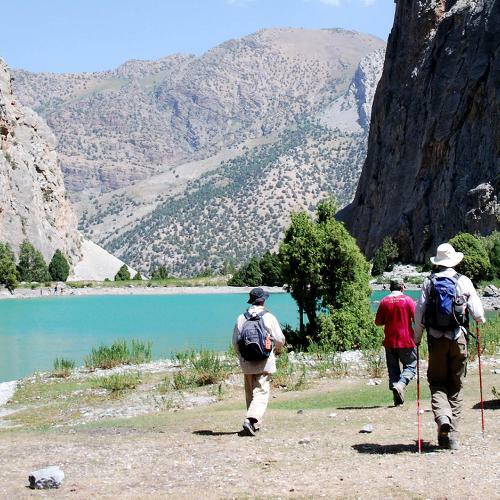 While trekking in most parts of Asia you will enjoy fully supported camping. Quality two person tents will be erected in scenic wilderness settings where our crew look after all the logistics, leaving you to relax at the end of the day. Campsites also feature a dining tent and a toilet tent with a sit toilet. 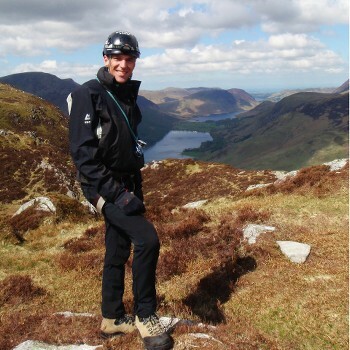 Kalmykov is a highly experienced guide and guide interpreter. 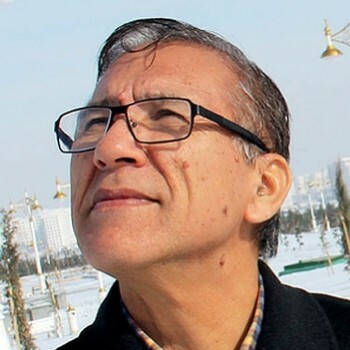 He is very well travelled across Kyrgyzstan and Kazakhstan, with further forays to the USA, Italy and Germany. 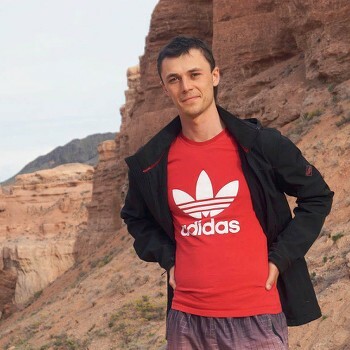 Kalmykov is a tremendously focused guide – responsible, punctual – and a very active individual whose interests include running, playing football, swimming and gym/general fitness.